The National Arbovirus Monitoring Program (NAMP) monitors the distribution of economically important insect-borne viruses of livestock and their vectors. NAMP specifically monitors bluetongue virus, Akabane and bovine ephemeral fever. It provides a system for detection of any new strains of bluetongue virus and any change in distribution of these viruses within Australia. NAMP supports the live export trade of sheep, cattle and goats into countries requiring certification of freedom from bluetongue virus and Akabane. Why does NAMP monitor for arboviruses? Some countries which import live sheep, goats and cattle are concerned about the presence of bluetongue viruses in Australia. These countries require ongoing assurance that livestock imported from Australia are free of such viruses. NAMP provides the necessary evidence on which to base these assurances. 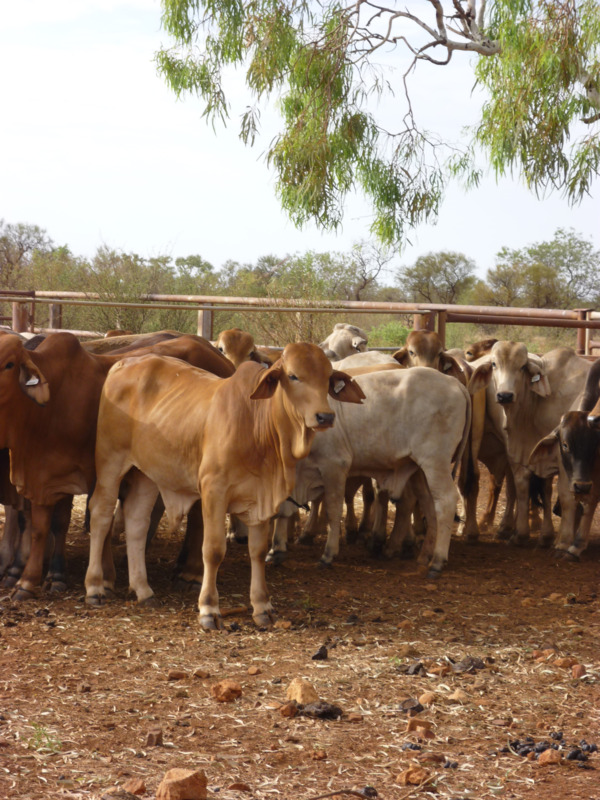 The information provided by NAMP has also assisted in opening up new markets for livestock. In addition, NAMP allows early detection of any new incursions of bluetongue virus serotypes into the northern bluetongue endemic area and early warning of any southern spread. It also assists producers and exporters to manage risk by showing the likelihood of arboviruses affecting stock in particular areas. How does NAMP operate in Western Australia? trapping insects to check for the presence of insect vectors. Officers take blood samples from sentinel cattle at strategic sites in WA regularly to detect the presence of bluetongue, Akabane and bovine ephemeral fever. They sample young cattle after weaning and then sample the same animals during and after the time when vectors are expected to be active, and transmission of the virus is likely to occur, to examine whether they have been exposed to the virus(es). The Department of Primary Industries and Regional Development's (DPIRD) laboratory analyses the samples and refers all samples where bluetongue virus is suspected to the CSIRO Australian Animal Health Laboratories (AAHL) in Geelong. Seasonal and environmental factors influence the distribution of the viruses and their vectors. Traps are set to collect insect vectors at selected sites in WA. Entomologists examine the contents of the traps for the presence of the particular insects that can spread the viruses of interest to NAMP. How are NAMP results used? A national committee examines the results of the monitoring and determines a zone where bluetongue virus transmission occurs in Australia. A 50-kilometre surveillance zone extends south of the transmission zone to provide a buffer and increase assurance that stock in the bluetongue free zone have not been exposed to the virus. All properties to the south of the surveillance zone are in the bluetongue virus free zone and able to trade into bluetongue-sensitive markets. The results of NAMP testing are published in various reports including an annual NAMP summary and on the Animal Health Australia website. An interactive map of the current bluetongue zone is available on the Animal Health Australia NAMP website. Below is a list of the properties in the current WA bluetongue virus free zone. This list changes when monitoring detects a change in the distribution of bluetongue virus transmission. WJBE0008, WJBE0016, WABE0060, WHBE0063, WCBE0072, WFBE0078, WFBE0086, WGBE0088.